Wow, there were so many wonderful-sounding contemporary romances released in February! Thanks to everyone who stopped by to recommend one. The winner of a $10 gift certificate to the online bookseller of her choice is…Wanda Barefoot! 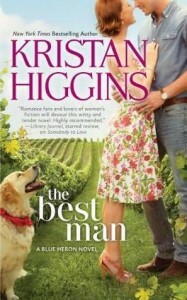 That means that Wanda won a $10 gift certificate for Kristan Higgins, too! I’ll email Kristan to let her know the good news. Everyone, this week you can win A Fine Romance by Christi Barth – which is one of the March contemporary romances I’m looking forward to. Good luck!